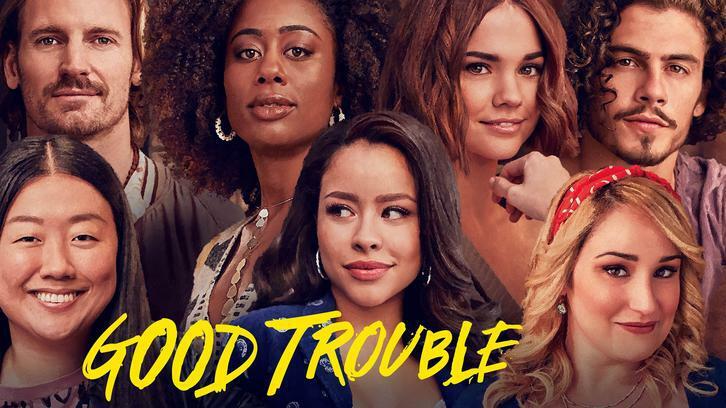 Last week on Good Trouble, the moms visited, and all was right with the world. Also, the show got a second season renewal. What can I say the power of the moms, but really this is because Good Trouble is marvelous and someone at Freeform knows this. 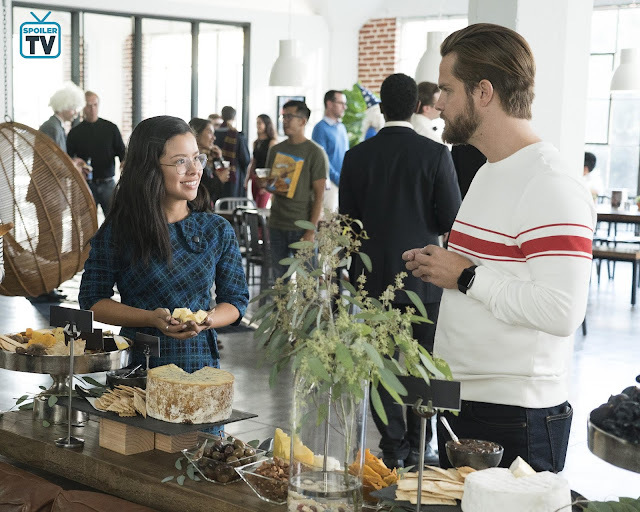 Good Trouble should be a seasonal binge versus weekly episodial, but Freeform never listens to any of our ramblings, so it is what it is. This week’s episode titled Imposter is also a superb hour of television; okay maybe forty-five minutes but its still fantastic. The gang is all around trying to be adults as much as they can. Callie is dealing with the thought of facing up to Judge Wilson about Malika before Ben beats her to it. She realizes though that’s just the easy part and things don’t turn out as she expected. She enlists Jamie who is back this week and making me love him even more. He brings a right balance in Callie's life so please writers; for once let Callie have this lovely relationship/friendship. Gael and Callie continue to sleep together. Honestly, I feel like they are more just friends with benefits more than anything else. There's been some noise in some quarters about how much time he spends with Callie Versus Bryan, but really, this is Callie's story, so I understand why some choices are being made. 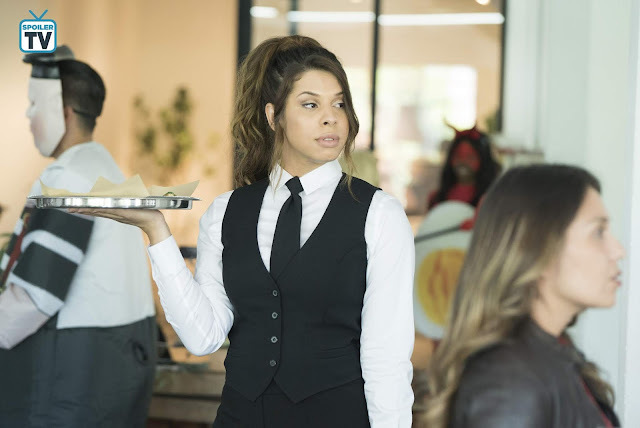 Gael's sister Jazmin returns, and she needs counsel to deal with her personal situation and also an incident that takes place in this episode. She’s a gorgeous woman who gets attention, but it’s stressful to have to deal with judgment from others. I wish the world were better, but it isn’t so. There are so many lovely scenes between Gael and Jazmin, and for a moment I thought they were real-life siblings. Martinez and Sahar have great chemistry, and when they are scene partners, you experience the joy they bring to the screen. Speculate is still a toxic workplace, and Marianna is not making any inroads with her team. Something happens between Raj and her that I am not sure I was on board with, however, the show lets Mariana deal with it the proper way. Raj is the only nice guy amongst her Speculate team, and I don’t want to see him boxed into an unlikeable character at all. Alex is still awful and this episode he takes it up a notch. He has entirely no redeeming qualities and should be taken down sooner than later. I don’t remember who appointed Alex team leader, but Josh should be called out for letting Mariana who is a member of his team be harassed by Alex. Joey was getting on my nerves with her “this is how tech is” advice for Mariana. This episode they get to have a heart to heart, and I think it will help moving forward with trying to get their work recognized. Evan gets to actually speak more in this episode, and it is delightful. The writers finally hint at why he always seems social awkward, and it will warm your heart. I want to see him and Mariana be actual friends and nothing more. Davia and Dennis have amazing scenes in this episode, and we get a song from Dennis. We also meet his soon to be ex-wife who ends up bumping into Davia. 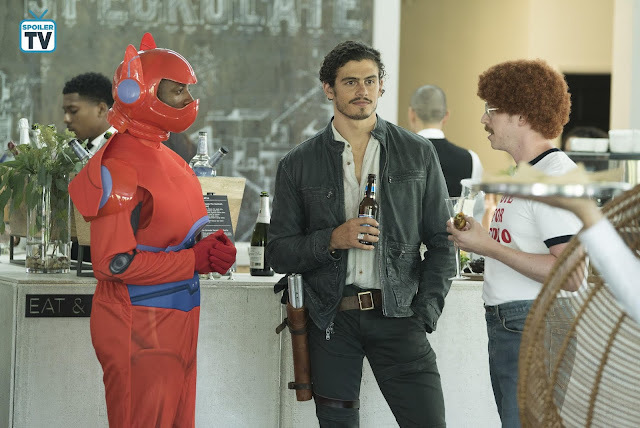 I hope Pence gets to be a regular in season two because he has a lot of depth that the show can explore. Troian Bellisario directs Imposter, and she does a fantastic job. I was very impressed by her work in this episode, and I hope to see more of what she does as a director.